My name is Richard Neylon. 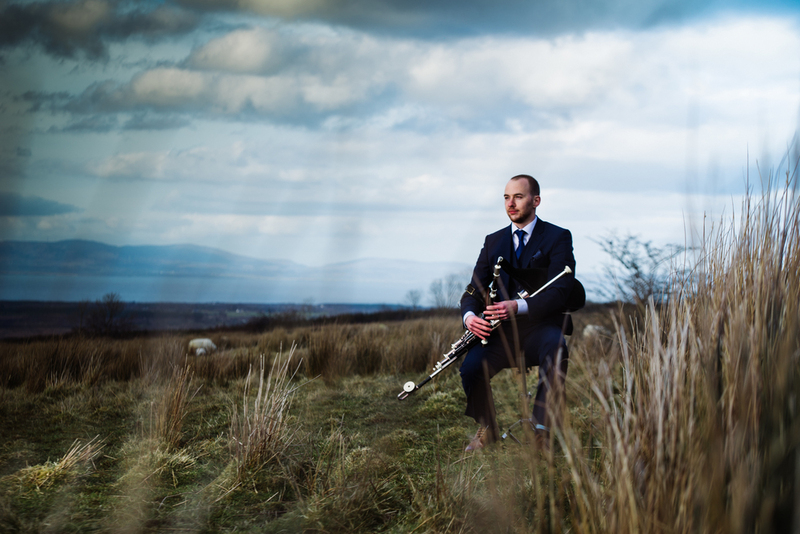 I am an All-Ireland Champion Uilleann Piper and I play music for weddings, receptions and events. I play with singers and other musicians to give you the complete wedding package. Please have a look at my 'Music' page for tracks from recent recordings and also for some examples of the music I play at weddings. If it's wedding music you're after, please have a look at my wedding page. I play a mixture of traditional Irish music on the Uilleann pipes and flute, on my own or with other musicians and singers for the wedding ceremony. For the wedding reception I play with an traditional Irish music group or a jazz group. The Irish Uilleann Pipes are the Irish form of the bagpipes. They developed around the beginning of the 18th century. They are distinguished from many other forms of bagpipes by their beautiful tone and wide range of notes, together with the unique blend of melodic chanter, haunting drones and chordal regulators. The pipes I play are made by Andreas Rogge of Germany. They are made from a beautiful dark ebony wood and artificial ivory. They have an incredible haunting sound and are very reliable and precise in tuning. I also play a number of different flutes and whistles. A concert flute in D made by Eamonn Cotter of county Clare and a beautifully rich sounding B flat flute made by Gilles Lehart of France. I play a number of different keyed Chieftain Low whistles.